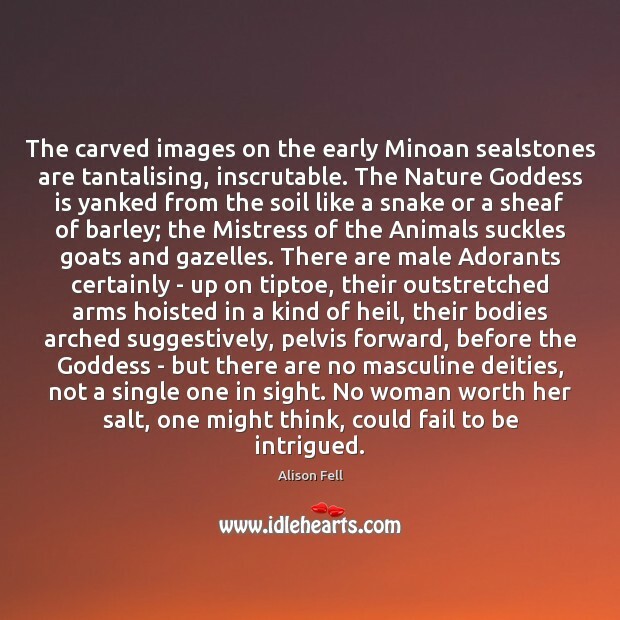 Enjoy the best inspirational, motivational, positive, funny and famous quotes by Alison Fell. Use words and picture quotations to push forward and inspire you keep going in life! New York lesson 1 - never look lost. Lesson 2 - forget hallowed silences. 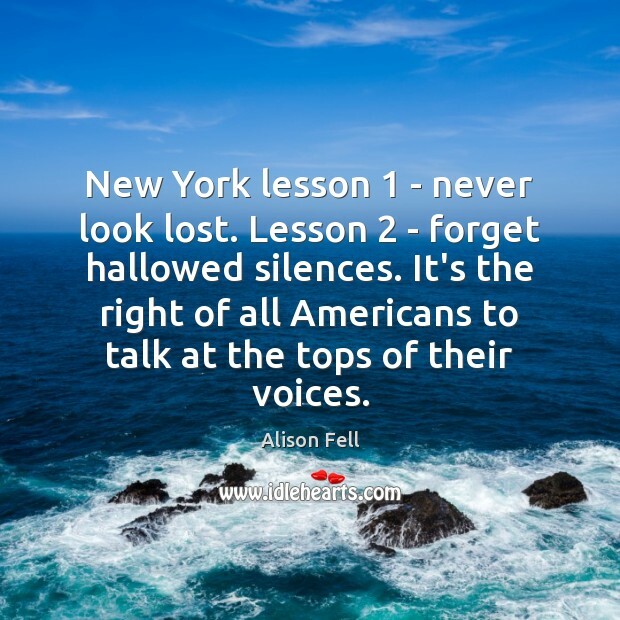 It's the right of all Americans to talk at the tops of their voices. Give a bull grass, sweet water and a willing heifer and he is happy. But a man is never content. 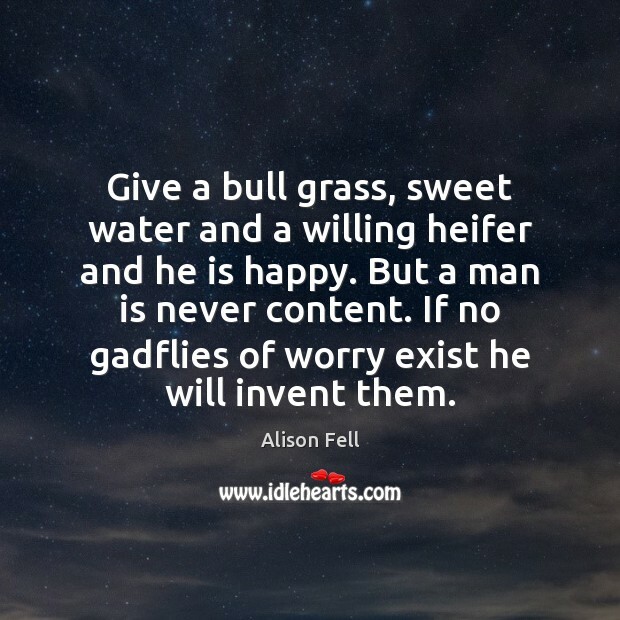 If no gadflies of worry exist he will invent them.